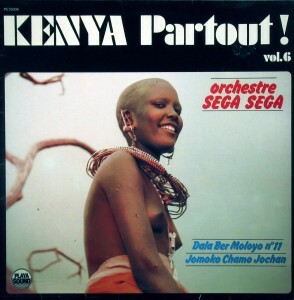 19 thoughts on “Orchestre Sega Sega – Kenya Partout ! Excelente album, tengo todos los kenya partout y son buenos. Excellent album, I have all kenya partout and are good. excellent guitter and vocals arrangements nice music I like it . Yikes! Very nice, Moos. I have parts of this one, and it’s great. Say Arnol, how many albums does the series contain ? i have all six albums, all very good!!! Sir, very happy music! Many thanks for sharing. Apurva from Pune, India. Say Hernan, I already read your request. You’ll have to wait untill I feel like it. The Global Groove is not a jukebox..stay tuned if you wish.. I just seen your post about the “Kenya partout! vol. 6”. As all my Luo family, I don’t know nothing about “Orchestre Sega Sega”. I just can tell to you that “Sega” is a place in North of Siaya District in Kenya and confirm that all the artist names are Luo names. “Sega Sega” is a common doubling custom in dholuo but I can’t understand this meaning. I was just knowing the tittle “Jomoko Chamo Jochan” (a must!) by Odhiambo Ossumbah who recorded in solo and with the “Golden Ugenya Boys” for “Sokota” Label (now “Vedi’s Label”). Maybe this “Orchestre Sega Sega” is a temporary band formed for the occasion. The “Orchestra ” or “Orchestre” (in French style) appellation is a Nairobi typical appellation, the traditional appellation in Luoland is “Band” or”Jazz Band” or “Boys”. Afficted to be undefined but, perhaps, that’s going to open the debate. when I was a teenager some 25 years ago, a friend of mine used to make these great compilation tapes – one song was ORCHESTRE SEGA-SEGA’s Patricia Atieno – awesome music! 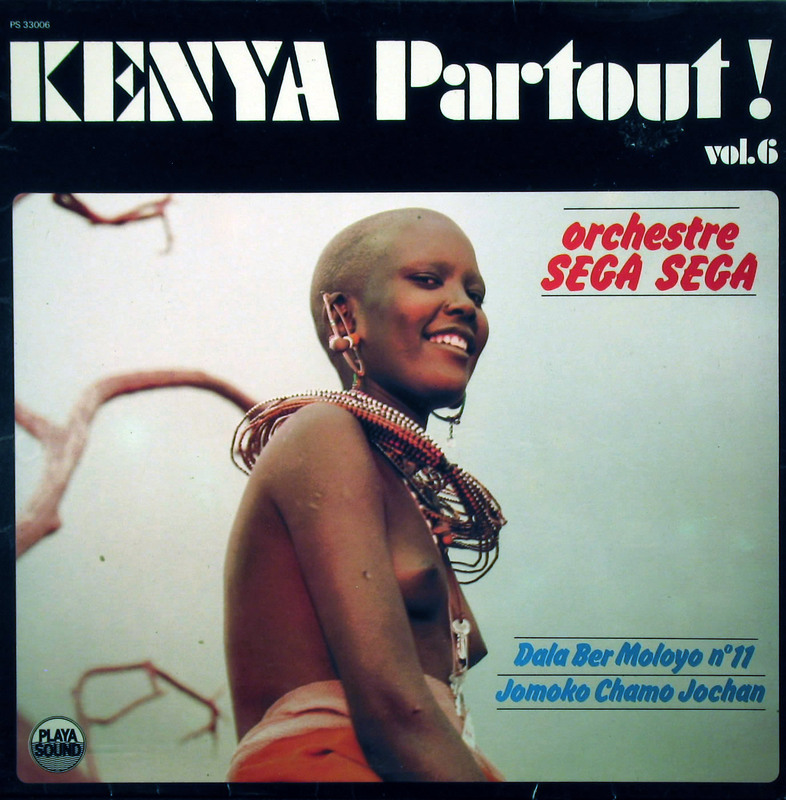 – I own KENYA PARTOUT VOL.5 (ORCHESTRE INTERNATIONAL DE NELLY) – If someone wants to trade Vol.6 for Vol.5: get in touch!